Aurora continues its nearly 30-year legacy of advancing autonomous systems with Odysseus, the world's most capable solar-powered autonomous aircraft. Powered only by the sun, Odysseus is an ultra-long endurance, high-altitude platform built for groundbreaking persistence. 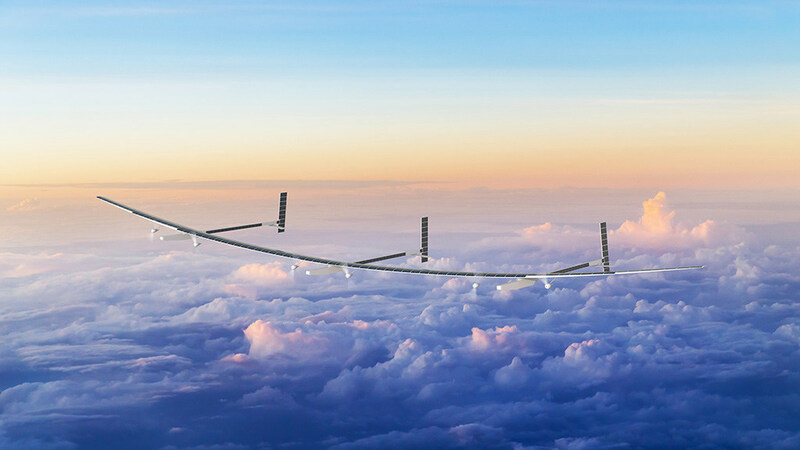 Utilizing advanced solar cells and built with lightweight materials, Odysseus can effectively fly indefinitely – all powered by clean, renewable energy. The inspiration for Odysseus started with the Daedalus Project that ultimately set records in distance and for human-powered flight in 1988 with a 72-mile flight between the Greek islands of Crete and Santorini. The project was organized and led by Aurora President and CEO John Langford and other MIT colleagues who later founded Aurora. Daedalus' records still stand today. "Aurora was founded by the idea that technology and innovation can provide powerful solutions to tough problems that affect all of humankind. Odysseus was an idea born out of Daedalus that is now a real solution to advancing the important research around climate change and other atmospheric chemistry problems," said Aurora President and CEO John Langford. "Odysseus offers persistence like no other solar aircraft of its kind, which is why it is such a capable and necessary platform for researchers. Odysseus will indeed change the world." Odysseus can persistently and autonomously remain on station. This enables communication and data gathering over a specific location. No other solar aircraft offers this capability. Odysseus has a greater year-round global operating zone than any other vehicle in its class. Odysseus can carry a larger payload than any other aircraft in development or production in its class. This enables more missions and better resulting data quality from each mission. Odysseus can be deployed at a fraction of the cost of a satellite and can spend dramatically more time aloft than a conventional UAV. It can receive payload and hardware options and can be quickly customized, re-tasked, and re-located as missions evolve. Odysseus provides the most capable solution for climate and weather researchers. With its payload capacity, Odysseus will provide researchers with long-term, high-resolution observation capabilities. The platform can measure vegetation, ice coverage and flow rates, and even ground moisture. Weather and storm monitoring during peak seasons become more affordable and accurate because of its ability to track and measure the movement of severe weather events, all while powered by clean energy. In addition to climate and atmospheric research, Odysseus' persistence enables a range of missions and operations across communication, connectivity, and intelligence. Odysseus' first flight is scheduled for the Spring of 2019.